Surprise them on their special day with a delectable gift! 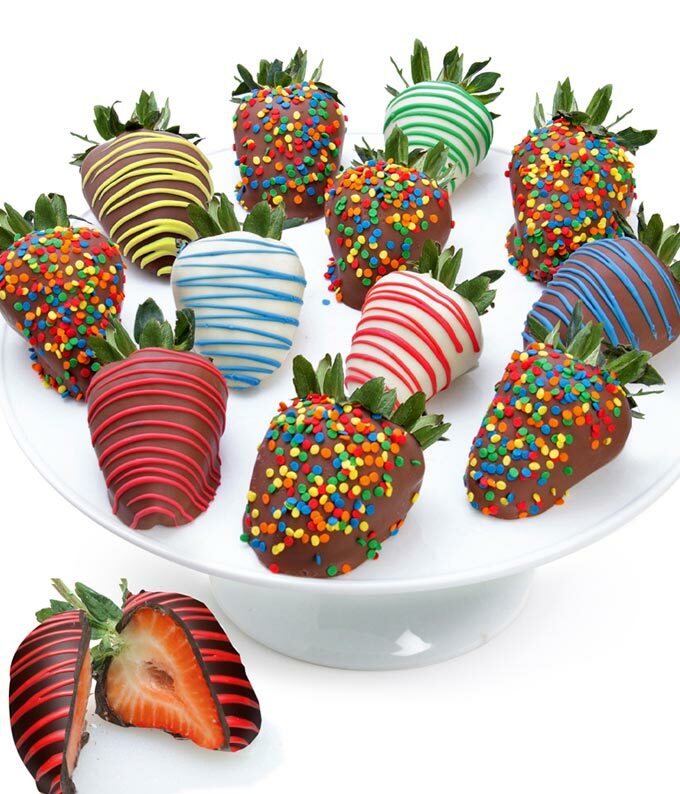 Our premium strawberries are hand-dipped in delicious Belgian chocolate by our Artisans. Each strawberry is layered in a variety of dark, white and milk chocolate. This gourmet masterpiece is then decorated with colorful candies and a fancy chocolate drizzle, making this the perfect Birthday gift!